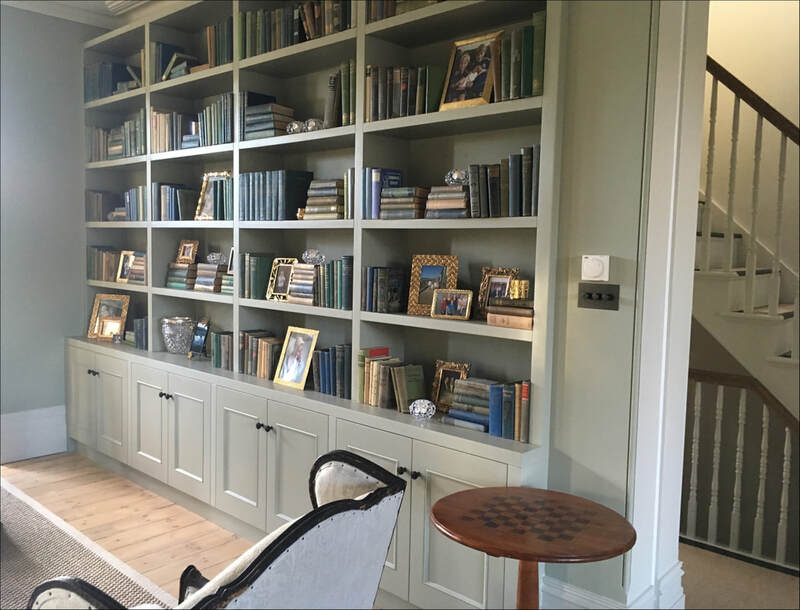 Working alongside fantastic designers, Leivars of West Sussex, our challenge here was to deliver high performance, easy to use systems that could not be seen when not being used. 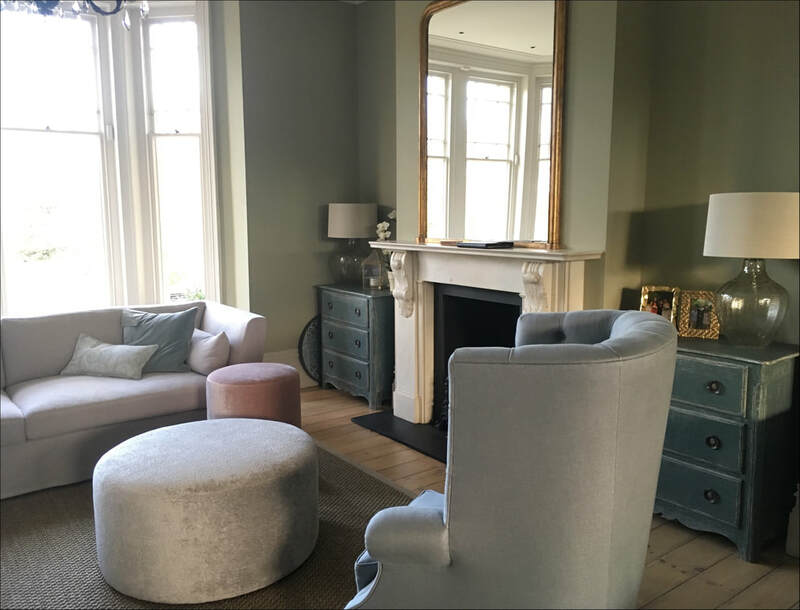 The interior design of the home had been expertly executed by the client and we could not let her down from our side. 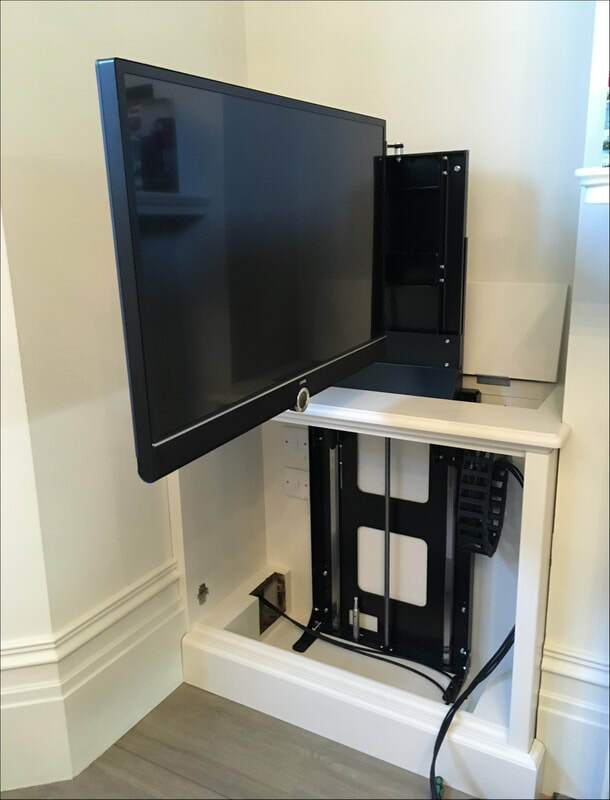 ​Using Future Automation lift systems allowed us to hide Televisions when not in use and also house various electronics beneath the cupboard space. 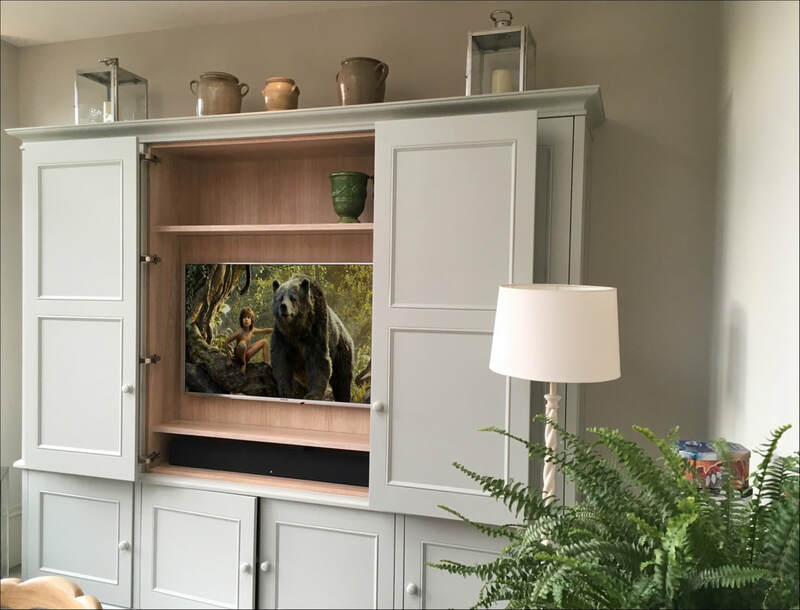 Naim electronics deliver fantastic sound through hidden speakers and offer the choice of listening to music from internet radio, Tidal, Spotify or the Televisions. 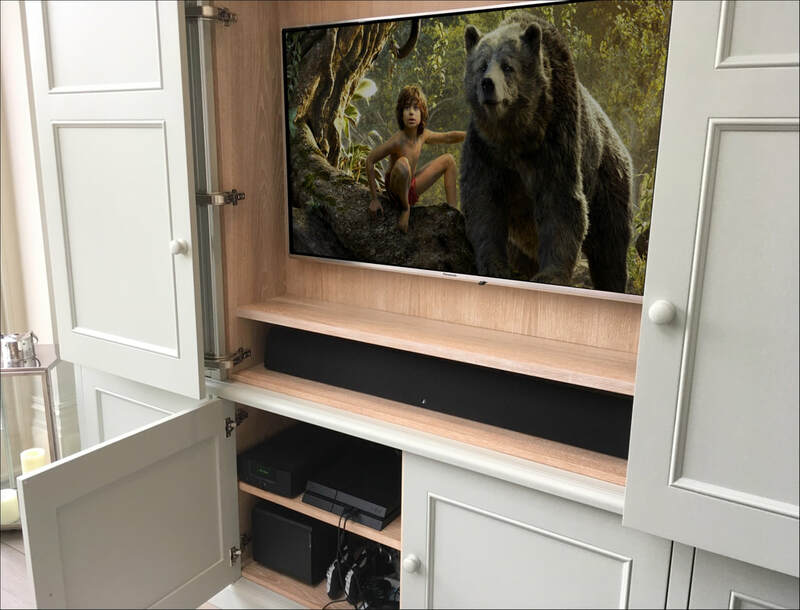 Encompassing three distinct areas, the first are was the play area for the small children, here a Loewe television controlled by Crestron provides simple to use access to children movies and TV. When not being used the screen disappears into the cabinet below with all the necessary safety systems you would expect. The second area is a family multi function area that can be used for watching movies and TV shows as a family or be a dining area. A large bespoke cabinet was commissioned and alongside Leivars we worked to house all of the equipment needed. This included a large screen, Various video sources such as Sky HD, Apple TV and multiple games consoles for the elder children. An Artison soundbar coupled to a Velodyne subwoofer allow movies to be full enjoyed whilst being hidden from sight when the doors are slid shut. 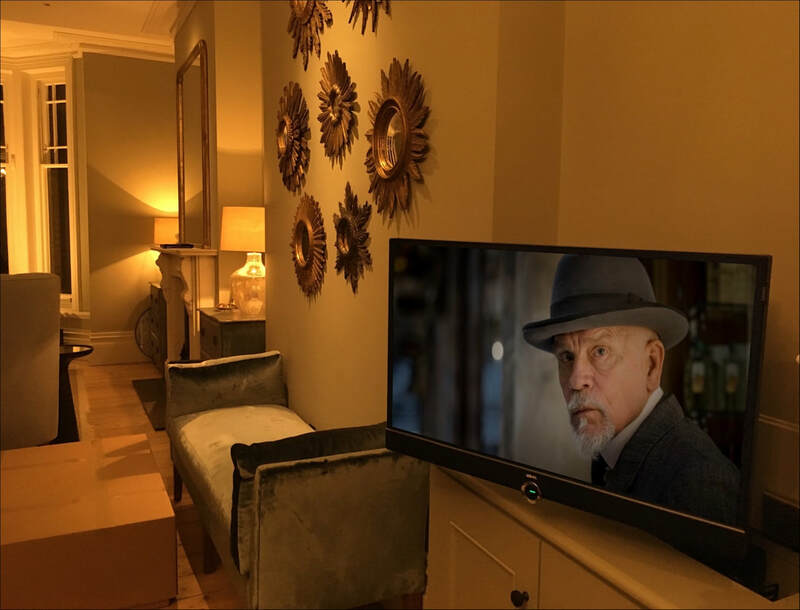 The third system was installed on the upper floor where the adults retreat to relax, and simply had to blend into the sophisticated decor whilst still maintaining a performance suitable for enjoying movies. Once again we utilised a list system to raise the Television when being viewed and hide it away when not in use. Hidden speakers provide the powerful soundtrack. Simple elegant Crestron remote controls provide all the behind the scenes switching and selecting, and present a simple way to control all of these advanced systems.